Off to Battle at Dawn. Translated with Dafna Zur. Ku Sang grew up in North Korea, studied the Philosophy of Religion in Tokyo, then returned to Korea to begin a lifelong career in journalism. With the rise of the Communists in the North after Liberation in 1945, he was forced to flee Southward when he learned that his poems did not please the censors. He was from a Catholic family (his brother was a priest, for which he was killed in North Korea at the start of the Korean War) and his poems combine Asian religious imagery with a Catholic understanding without dogmatism. He shunned overly 'poetic' styles and enjoyed writing spontaneous poems provoked by momentary glimpses of things. 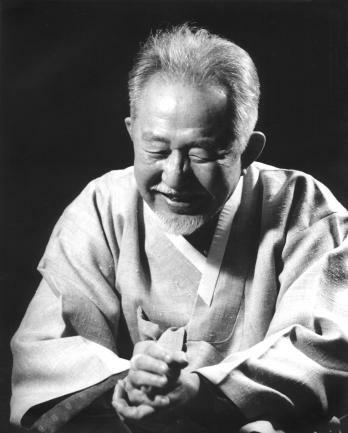 Read about Ku Sang (1919 - 2004). 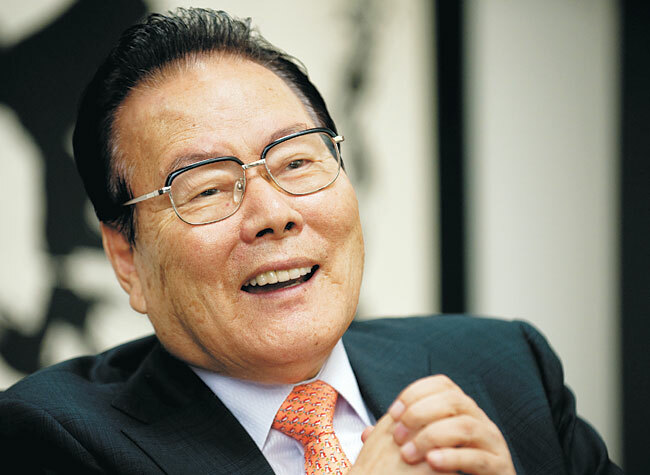 Read his Obituary in the Independent (London) or an obituary article in the Yonhap News. 1) Wasteland Poems: Poems by Ku Sang. Translated by Brother Anthony of Taizé. 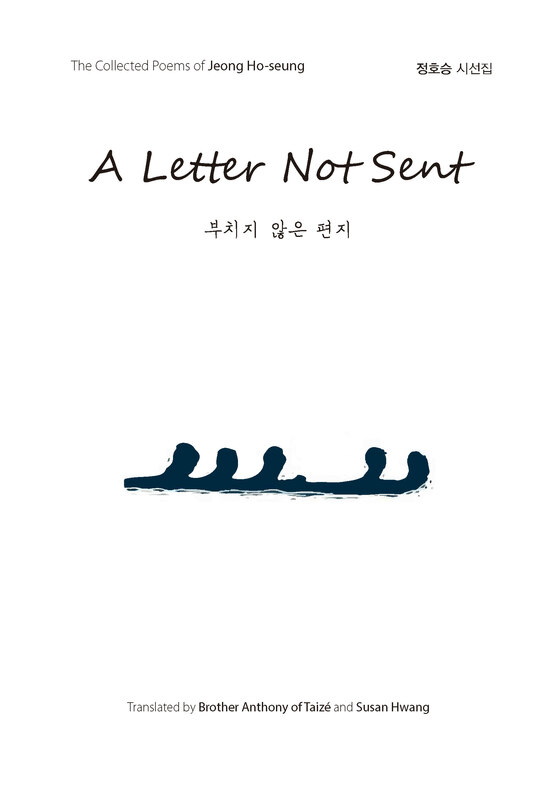 A bilingual edition by DapGae (Seoul) You may buy this through Seoul Selection's home page. 4) Even the Knots on Quince Trees Tell Tales. 2004. A bilingual edition Translated by Brother Anthony of Taizé. 5) Eternity Today. Seoul: Seoul Selection. 2005. 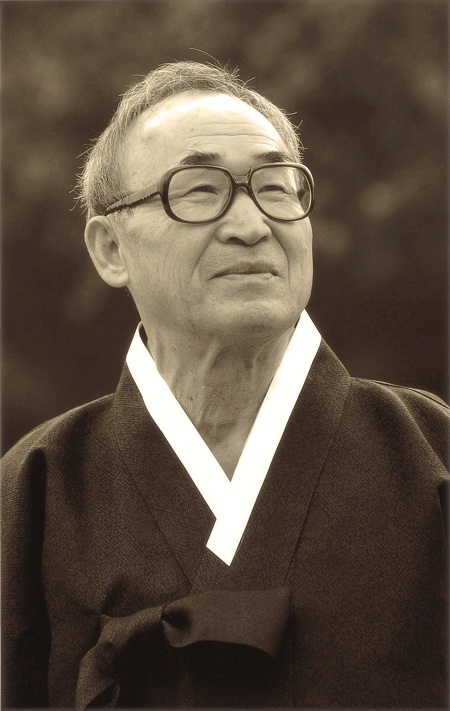 Kim Kwang-kyu was a Professor of German literature until he retired. His first poetic activity involved the translation of German poetry into Korean, an activity which he has continued until now, to great acclaim. This gave him the impulse to start writing Korean poetry in a style owing nothing to Korean poetic conventions. Heine, Eich and Brecht taught him the value of subtle humor in writing satirical poems and his early work was hailed for its skill in mocking the military dictatorships. Much of his work is concerned with the mediocrity of life in conformist society as compared to youthful dreams and ideals, but viewed with rueful smiles rather than anger. He is now one of Korea's senior poets, but he has never belonged to any particular group or clique. 1) Faint Shadows of Love. Translated by Brother Anthony of Taizé. 2) The Depths of a Clam. Selected poems by Kim Kwang-Kyu. Translated by Brother Anthony of Taizé. Buffalo: White Pine Press, 2005. 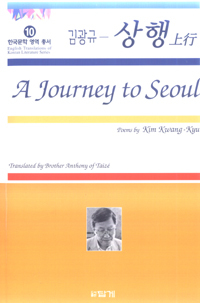 3) A Journey to Seoul: Selected poems by Kim Kwang-Kyu Translated by Brother Anthony of Taizé. A bilingual edition by DapGae (Seoul). 2006. Korea's best-known poet, worldwide, his works have been translated into at least 15 languages so far. 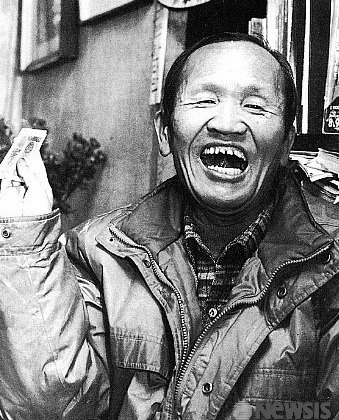 His life has taken dramatic turns; born in rural western Korea, became a Buddhist monk during the Korean War, then quit to become a nihilist, in the 1970s he became the main spokesman of the opposition to dictatorship, he was arrested at the coup in 1980 and spent 2 years in prison. Since the 1980s he has published an enormous number of books--many kinds of poetry, novels, essays . . . and since the 1990s he has travelled widely, giving electrifying readings in almost every continent. His 30-volume Maninbo (Ten Thousand Lives), a celebration of every person he has ever encountered, is due to have its last 4 volumes published early in 2010. 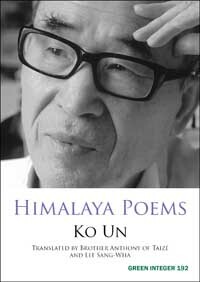 Many poems by Ko Un have been published in reviews. For a list of these, and for links to articles and reviews etc about his work, please click here. Click here for a comprehensive biography of Ko Un Click here for an extensive 2012 article by Brother Anthony, The Poetic Work of Ko Un giving an overall survey of Ko Un's career and a critical discussion of his work. 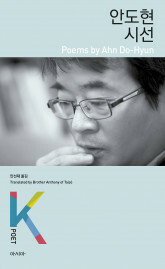 1) The Sound of my Waves Selected Poems, translated by Brother Anthony of Taizé in collaboration with Young-Moo Kim. A bilingual edition by DapGae (Seoul) and Cornell East Asia Series, 1996. (Originally published in English only by Cornell East Asia Series, 1993, out of print) You may buy this through Seoul Selection's home page. This edition is an abridged version of the original. Full translation online. Please order direct from Green Integer, the publisher. Read a very kind online review in Poetry.about.com. See my essay in World Literature Today, and a paper about Maninbo marking the project's completion early in 2010. Please order from the publisher rather than from Amazon.com!The printed version is out of print, a digital edition can be ordered from the publisher. 7) 차령이 뽀뽀 / ChaRyong's Kiss. 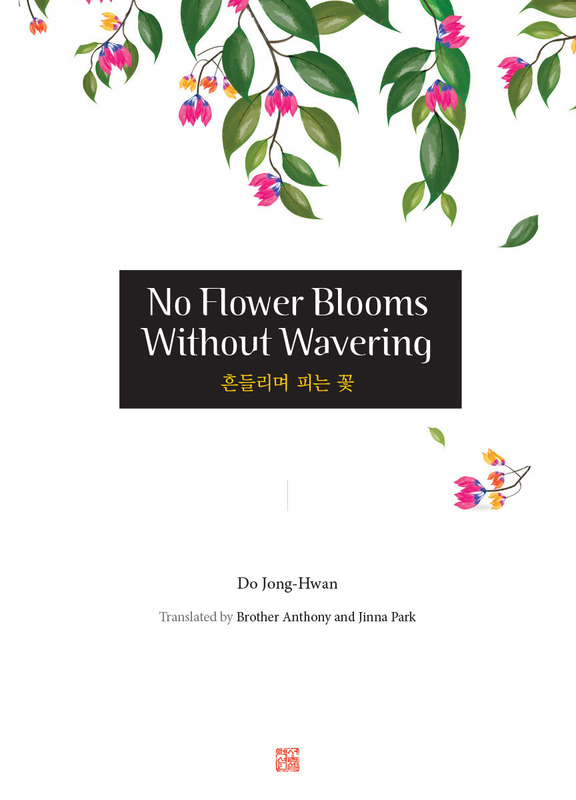 Translated by Brother Anthony of Taizé in collaboration with Lee Sang-Wha. 바 우솔 Ba-U-Sol Publishing. Seoul. 2011. 8) Himalaya Poems. Translated by Brother Anthony of Taizé in collaboration with Lee Sang-Wha. Green Integer Kobenhavn & Los Angeles: Green Integer Press. 2011. ISBN: 978 1 55713 412 7. 9) First Person Sorrowful. Translated by Brother Anthony of Taizé in collaboration with Lee Sang-Wha. Bloodaxe Books. Highgreen, Tarset, Northumberland UK. 2012. ISBN: 978 185224 953 6. Read online reviews: The Quarterly Conversation. Shearsman Books. 10) Maninbo: Peace & War. Translated by Brother Anthony of Taizé in collaboration with Lee Sang-Wha. See my essay in World Literature Today, and a paper about Maninbo marking the project's completion early in 2010. For many years Korea's leading poet, Midang gave recognition and encouragement to a very large number of young poets. He was always strongly inclined to the conservative side and enjoyed great power during the dictatorships; this brought a hostile reaction when democracy came. His early poems were intensely lyrical and of great power but their impact can hardly be conveyed in translation. Later poems seem shallow by comparison, and there is little agreement as to what his enduring legacy will be. The Early Lyrics, 1941-1960. Translated by Brother Anthony of Taizé. 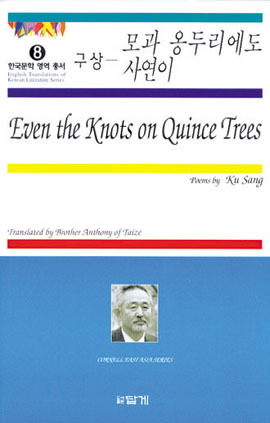 A bilingual edition published by DapGae (Seoul) and Cornell East Asia Series, 1998 (Originally published in English by Forest Books, London in 1991) . You may buy this through Seoul Selection's home page. 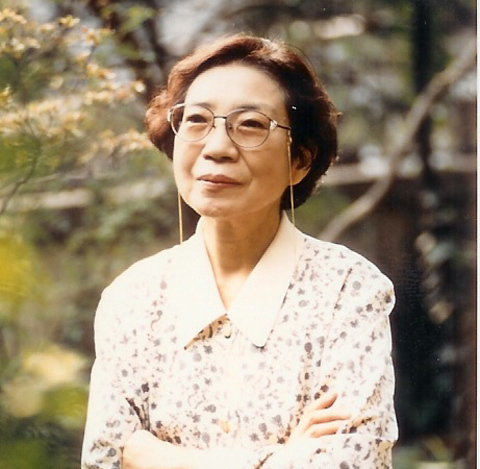 Yi Mun-yol is one of Korea's leading novellists. The defection of his father to the Northern side in the Korean War meant that his family had to suffer discrimination and suspicion in the years following. He was unable to complete the university studies he wished and as a result became an independent autodidact, fascinated by the Chinese classics and belonging to no identifiable clique, although always politically conservative. His works have sometimes been very popular, especially Son of Man, his first major novel, but they have had little resonance in translation and remain little known outside of Korea. The Poet. Translation by Brother Anthony of Taizé in collaboration with Chung Chong-hwa. Chon Sang-pyong was as an excentric character, unable to hold a job and with an innocence that left him extremely fragile. His friends used to give him small sums to keep him going. Arrested and tortured because some of his friends had visited the North Korean embassy in East Berlin, he nearly died in 1970, had a serious breakdown the following year, and only survived thanks to the care of a friend's sister who lived with him as a Platonic wife for the last 20 years. His poems are delightful and devoid of all pretense. Ithaca: Cornell East Asia Series, 1995 (English only) also available in a bilingual edition published by DapGae (Seoul) and Cornell East Asia Series in 1996 You may buy this through Seoul Selection's home page. See also, below, My Husband the Poet by Mok Sun-Ok, Ch'on Sang-Pyong's wife, in which she tells her own life story and that of her husband. Shin wrote a few poems then vanished for 10 years, working as a building laborer, a salesman, among the rural and urban poor. He published Farmers' Dance to great acclaim among the writers who advocated socially aware poetry and continued to write powerful poetry with powerful rhythms. 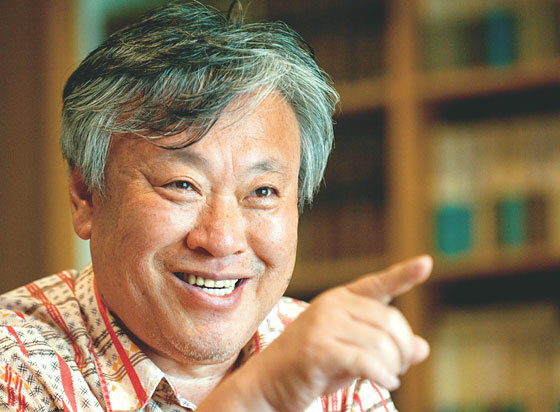 He is now one of Korea's senior literary figures. 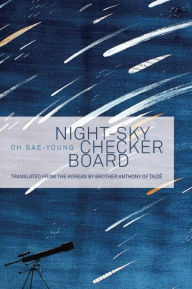 A bilingual edition published by DapGae (Seoul) and Cornell East Asia Series. 1999. Lee Si-Young (1949 -) Three writers linked in some ways yet distinct, born 13 years apart. Kim's accidental early death was a serious blow to the reforming wing of Korean writers. 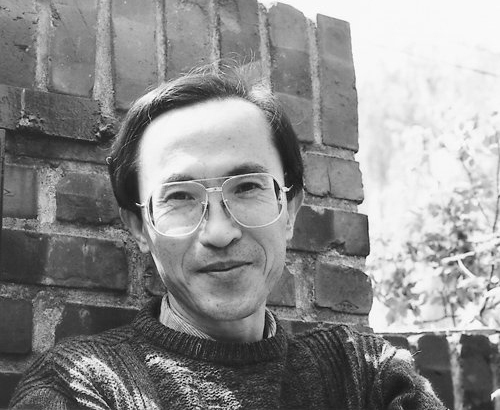 Shin (see above) and Lee were among the writers opposing dictatorship and suffering accordingly during the 1980s. Published in 2001 by Cornell East Asia Series. Lee was Korea's first Minister of Culture at the time of the Olympic Games. A polymath of great ability, he wrote a small number of stories in the 1960s and published a volume of poetry recently. Otherwise, he is better known as a thinker and a cultural commentator. The General's Beard. Translated by Brother Anthony of Taizé. 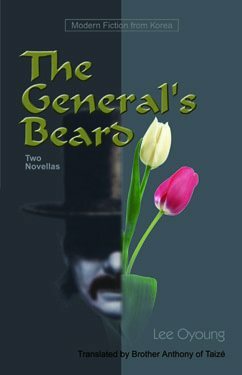 Contains two novellas, Full texts are online "The General's Beard" & "Phantom Legs"
The Columbia Anthology of Modern Korean Poetry. Edited by David R. McCann. A number of the poems by various poets in this book were translated by me (see a list). Young-moo Kim was a professor of English literature who began to write poetry quite late. He published 3 volumes. We worked together on my early translations, then he developed lung cancer and died soon after the publication of his 3rd volume, mostly devoted to his illness and the time he spent in Australia before he died. Virtual Reality. 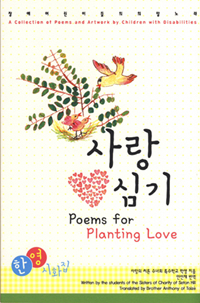 A bilingual edition published by DapGae (Seoul). 2005. You may buy this through Seoul Selection's home page. 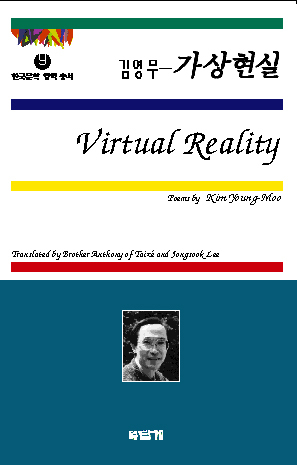 Read some poems from Virtual Reality. Read about Kim Young-Moo. 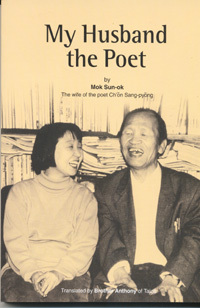 Mok Sun-ok was the wife of the poet Chon Sang-Pyong (see above). She grew up in Hiroshima, her father was killed by the atomic bomb on August 6 1945. 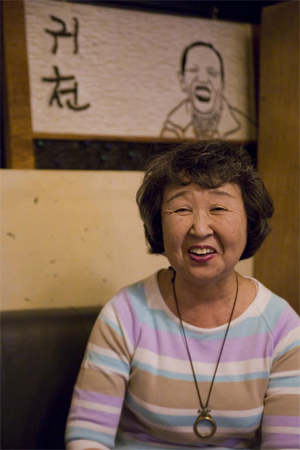 Her care for the poet continued after his death and she continued to run "Kwichon", the little cafe in Insa-dong she first opened in 1985, while promoting his memory in a variety of cultural festivals etc. 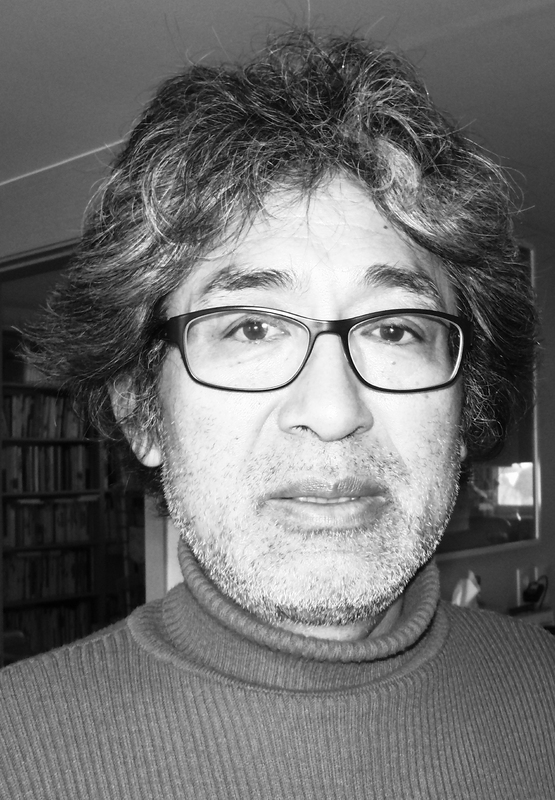 My Husband the Poet: by Mok Sun-Ok.Translated by Brother Anthony of Taizé. Seoul Selection (Seoul). 2006. 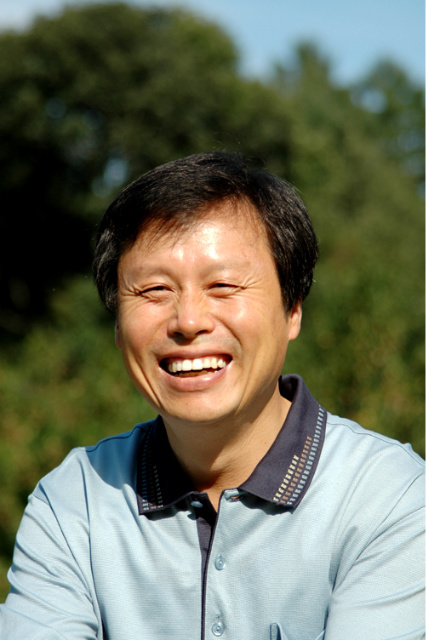 Chonggi Mah has lived in the United States for many years, working as a doctor and teaching in medical school. He has now retired. He wrote poems in Korean and published them in Korea throughout his life abroad and is highly regarded as a poet in Korea. Eyes of Dew: Selected Poems by Chonggi Mah. Translated by Brother Anthony of Taizé. Buffalo: White Pine Press. 2006. 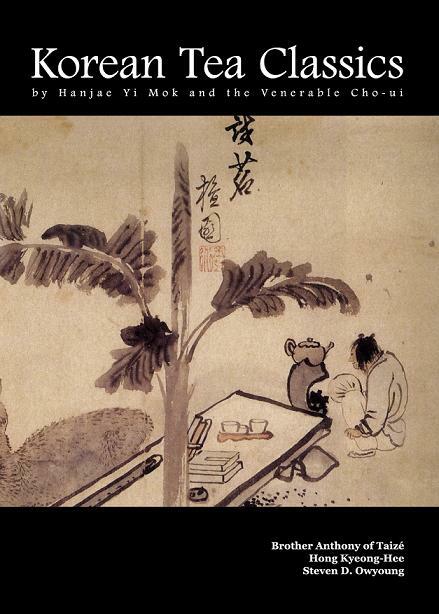 Read about Chonggi Mah and see 5 sample poems. The poems can also be read at Poems for Planting Love but the book is full of paintings and royalties on every copy you buy go to help the children. 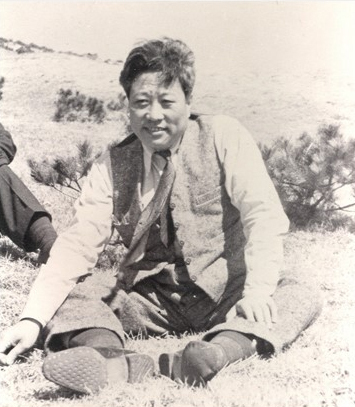 Kim spent most of his life in Gangjin (South Jeolla Province) but moved to Seoul after 1945 and was killed in the early months of the Korean War, not yet 50, having written most of his poems during the Japanese occupation of Korea (1919-1945). In Korea he is celebrated for the lyrical musicality of his style but this bilingual edition of his complete poetic work makes plain his commitment to Korean independence from Japan as well as his anguish at the fratricidal violence that Korea experienced between 1945 and 1950. Yi Mok's ChaBu, Cho-Ui's ChaSinJeon and DongChaSong translated by by Brother Anthony of Taizé, Hong Keong-Hee, Steven D. Owyoung. Kim Seung-Hee was born in Gwangju (South Jeolla Province) and studied at Sogang University (Seoul), where she is now a professor in the Korean Department. As a poet, she is often described as a "feminist surrealist." Hong Yunsook was born in northern Korea. 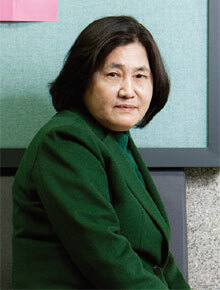 She is one of Korea's most celebrated senior poets. She received the 2012 Ku Sang Literary Award. Sunlight in a Distant Place. Bilingual text. Translated by Brother Anthony of Taizé. Edited by Chan E. Park. Foreign Language Publications. The Ohio State University. 2012. Ynhui Park is better known in Korea by his pen-name Park Imun (박이문). He did a first doctorate on French literature in the Sorbonne then moved to the US and did a second PhD on Merleau-Ponty. He taught philosophy for 20 years at Simmons College in Boston before returning to Korea. He is one of Korea's foremost philosophers. He has also published several volumes of poetry in Korean as well as one of poems he wrote in English. 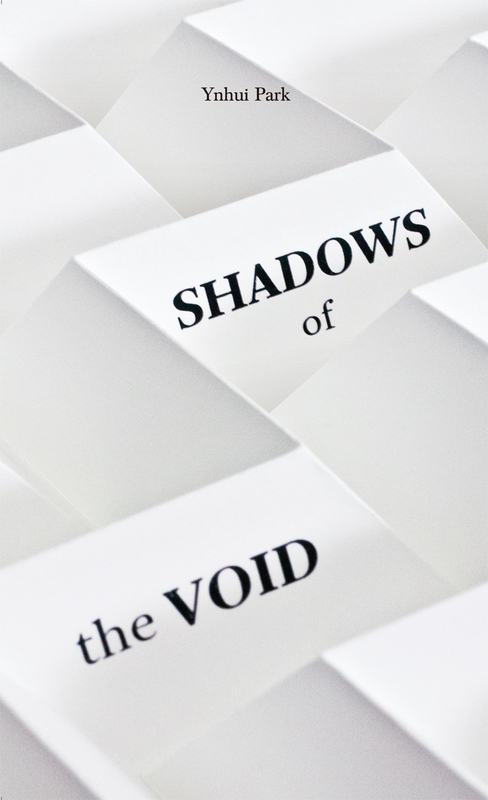 Shadows of the Void. Translated by Brother Anthony of Taizé. Seoul Selection. 2014. Patterns. Translated by Brother Anthony of Taizé with Yoo Hui-Sok. Green Integer. 2014. 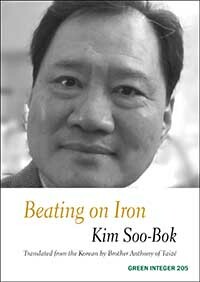 Kim Soo-Bok was born in Hamyang, South Gyeongsang Province, Korea, in 1953. He graduated from the Korean Language and Literature Department of Dankook University, Seoul, and continued his studies there to the completion of his doctorate. His first poems were published in 1975. His published poetry collections include Jirisan taryeong (Ballad of Mount Jiri, 1977); Naje naon bandal (Half moon appearing by day, 1980); Saereul gidarimyeo (Waiting for birds, 1988); Ttodareun saweol (Another April, 1989); Gidohaneun namu (Praying Trees, 1989); Modeun gildeureun noraereul bureunda (All the roads are singing, 1999); Sarajin Pokpo (The vanished waterfall, 2003); Umurui nundongja (The eye of the well, 2004); Dareul ttara geonda (Walking after the moon, 2008); Oibak (Sleeping out, 2012). He has received the Pyeonun Award and the Award for Lyric Poetry. He is at present a professor in the Creative Writing Department of Dankook University. Do Jong Hwan was born in 1954 in Cheong-ju, North Chungcheong Province, he became a published poet some years after he began work as a high school teacher. The death by cancer of his wife in 1985, just two years after they married, and a few months after the birth of their second child, inspired him to write a volume of love poems, Hollyhock You, which brought him critical acclaim and instant fame. It has sold over one million copies. He has been a member of the main opposition party in the Korean National Assembly since 2012. 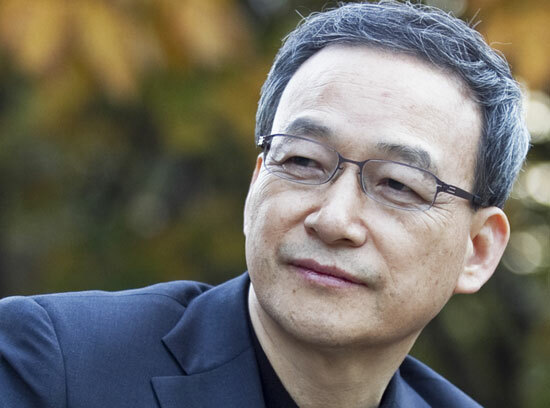 He has received a number of major literary awards, including the 2009 Jeong Ji-yong Award, the 2010 Yun Dong-ju Award, the 2011 Baek Seok Award, and the 2012 Gong Cho Award. Oh Sae-young was born in Yeonggwang, South Jeolla Province, in 1942. He studied at the Korean Language and Literature Department of Seoul National University, where he later taught for many years as a professor. He is now an Emeritus Professor there. 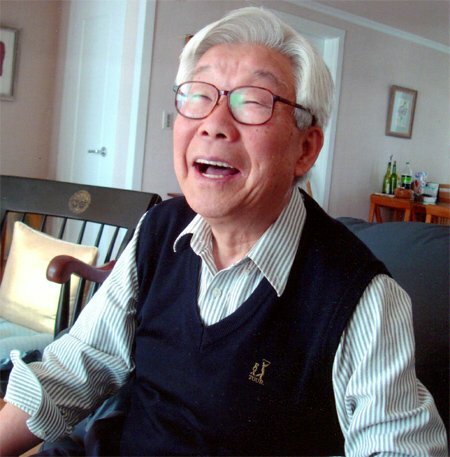 He began his literary career in April 1965, when his first poems were published in the review Hyeondae Munhak. He has published some twelve volumes of poetry as well as a number of volumes of literary essays. He has received several awards for his work. 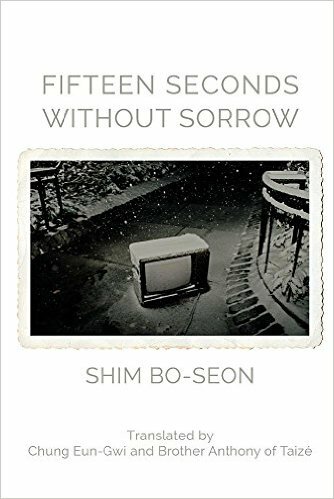 Shim Bo-Seon was born in Seoul in 1970, studied sociology at Seoul National University, and received his PhD from Columbia University, New York. 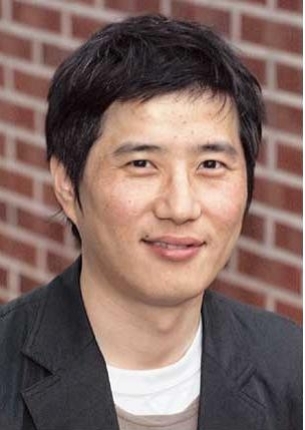 He made his debut in the Chosun Ilbo Annual Spring Literary Contest in 1994 and published his first collection, Seulpeumi opneun sip o cho (Fifteen Seconds without Sorrow), in 2008. This was followed by Nunape opneun saram (Someone Not in Sight ) in 2011 and Geueurin yesul (Smoked Art) in 2013. 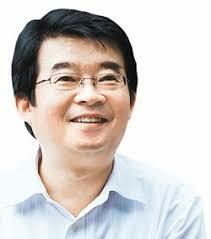 He is currently a professor of Culture and Art Management at Kyung-Hee Cyber University. He is also a member of the Twenty-First Century Prospect Writer's Group. 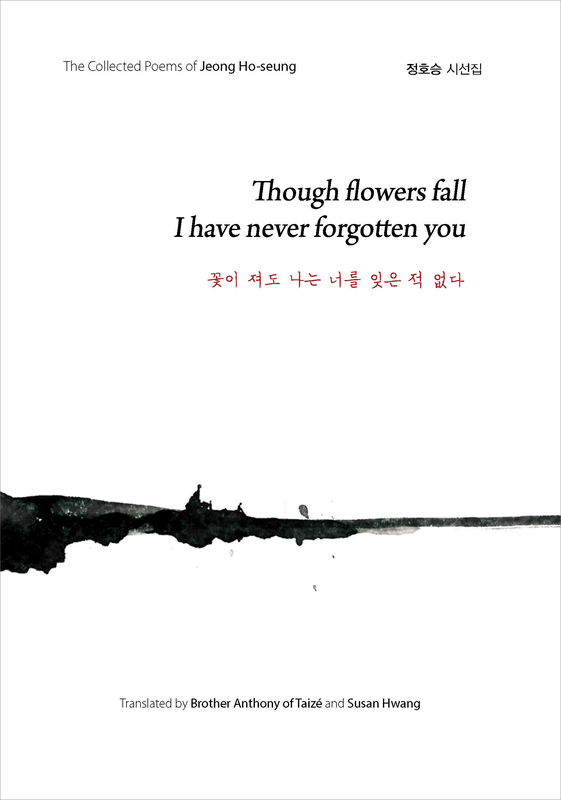 Jeong Ho-seung is the most widely read and loved poet in Korea today. His poems express the joys and sorrows of life in ways that are immediately accessible to people of all ages. 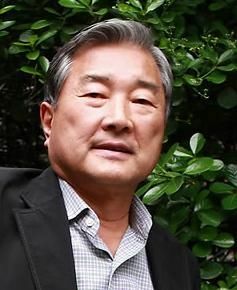 Born in Hadong, South Gyeongsang Province, in 1950, Jeong Ho-Seung grew up in Daegu. He graduated from the Korean Language and Literature Department of Kyung-Hee University in Seoul, where he also completed a Master’s degree. He gained recognition as a poet when he won a Spring Literary Award from the Joseon Ilbo newspaper. In 1982 he won a similar award for a work of fiction but his literary career has been focussed on poetry. His first published poetry collection was Seulpeumi gippeumege (Sorrow to joy, 1979); this was followed by Seoului yesu (Seoul’s Jesus, 1982); then came Saebyeok pyeonji (Dawn letter, 1987), Byeolteureun ttatteuthada (Stars are warm, 1990), Saranghadaga jugeobeoryeora (Love, then die, 1997), Oerounikka saramida (Human because lonely, 1998), Nunmuri namyeon gichareul tara (If tears flow, take a train, 1999), I jalbeun sigan dongan (During this short moment, 2004), Poong (Embrace, 2007), Bapgap (Earing My Keep), 2010, and Yeohaeng (Journey, 2013). 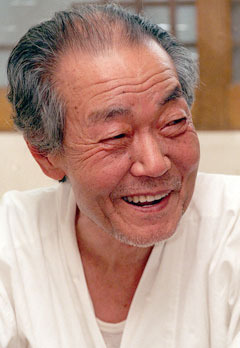 He received the Seoul City Literary Award in 1989. He has also received the Jeong Ji-yong Literary Award, the Pyeonun Literary Award, the Sanghwa Poetry Award and the Gongcho Literary Award. Ko Hyeong-ryeol was born in 1954 in Sokcho, Gangwon-do, on the East coast of Korea just south of the DMZ, at the foot of Mount Seorak. After leaving high school he began to work as a manual laborer in Jeju Island, breaking stones for the construction of a highway. In 1974 his father died and he had to take responsibility for his family so he returned to Sokcho and became a clerk in the office of a small rural district nearby. 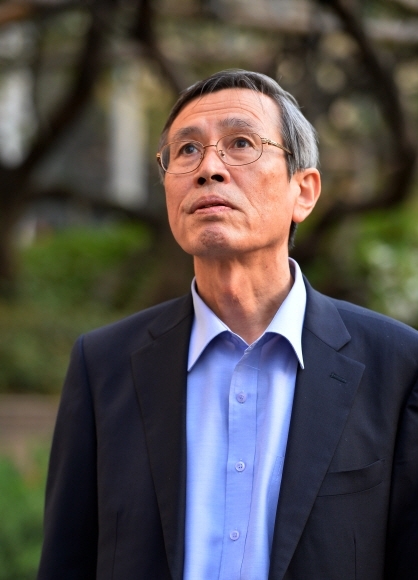 After eight years, already recognized as a poet, he went up to Seoul and in 1985 began to work as Editor-in-Chief responsible for poetry in the Changbi publishing company. He held this position for some twenty years before retiring in 2005. He now lives in Yangpyeong, to the east of Seoul. 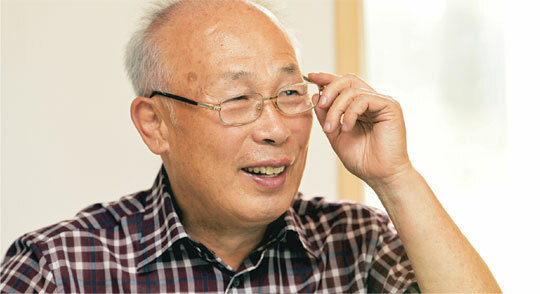 He published his first poems in the review Hyeondae munhak (Contemporary Literature) in 1979. He has published multiple volumes of poetry. He has received a number of awards, including the 55th Modern Literary Award; the Baekseok Award; the Jihun Literary Award; the Republic of Korea Culture and Arts Award; the Hyeongpyeong Literary Award. He was the chief editor of the magazine Sipyeong from 2000 until 2013; from 2000 he played a leading role in organizing and participating in the activities of the “Korea-ASEAN Poets’ Literature Festival.” He is currently chief editor of the review Hyeondae Sihak (Modern Poetry). 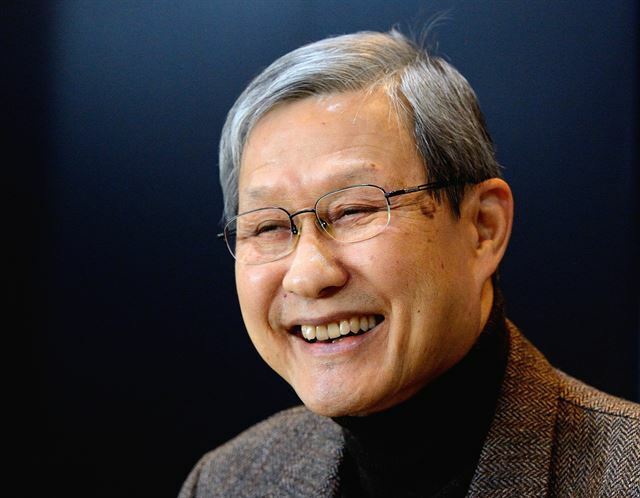 Born in Sangju, in the North Gyeongsang Province of Korea, in 1952, Lee Seong-bok studied in the Department of French Language and Literature at Seoul National University, completing his studies there with a Ph.D. He was for many years professor of French at Keimyung University in the city of Daegu. He then was appointed professor of Creative Writing. at the same university. He retired in 2012 and is now an Emeritus Professor there. He made his literary debut in 1977 with the publication of the poem “At a Familiar Brothel.” His first collection of poems, When Does a Rolling Stone Awaken? 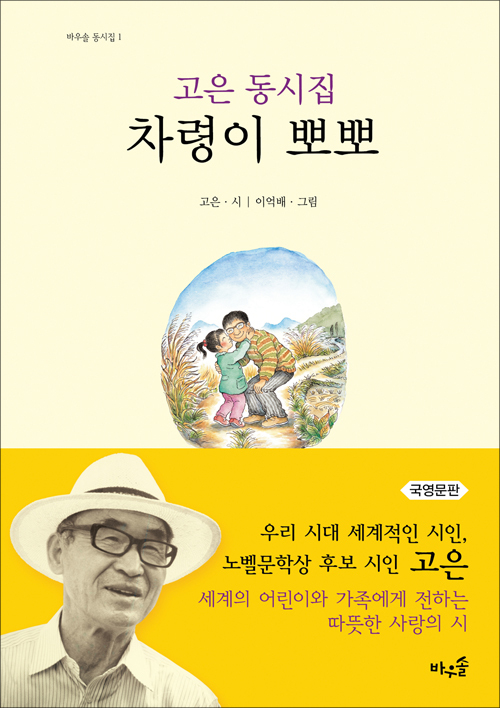 (뒹구는 돌은 언제 잠 깨는가 duingguneun doreun eonje jam kkaeneunga) was published in 1980. Other volumes include South Sea Silk Mountain (남해금산 namhaegeumsan, 1986), The End of Summer (그 여름의 끝 geu eoreumui kkeut, 1990), Memories of a Holly Tree (호랑가시나무의 기억 horanggasinamuui gieok, 1993), Traces of Waves on the Moon’s Brow (달의 이마에는 물결무늬 자국 darui imaeneun mulgyeolmunui, 2003 / 2012), etc. 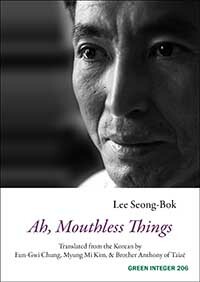 In 2003, he published Ah, Mouthless Things (아, 입이 없는 것들 a, ibi eopneun geotdeul), from which the poems translated in this collection are taken. In 2013 he published Raeyeoaebandara (Come and Share Sorrow 래여애반다라 raeyeoaebandara,). He has also published a number of volumes of poetic theory and other prose writings, the most recent being the three volumes published in 2015: Poetry of the Polar Regions (극지의 시 geukjiui si), Words at Odds (불화하는 말들 bulhwahaneun maldeul) and Endless Blooming (무한화서 muhanhwasa). 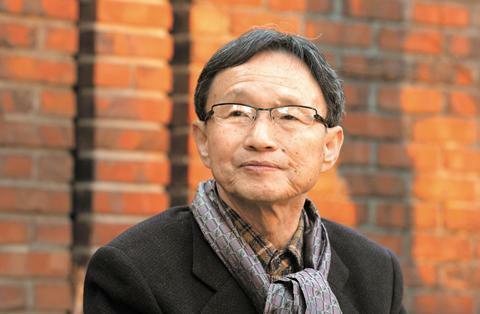 He received the 1982 Kim Su-young Literary Award, the 1990 So-wol Poetry Award, the 2004 Daesan Literary Award, the 2007 Hyundai Literary Award, and the 2014 Yi Yuk-sa Poetry Award. Since his first poem was published in 1977, Lee Seong-bok has impressed readers with his opulent images of free association, unexpected transformations charged with aroused feeling and calling. The poetic world he presents, sometimes flamboyantly and sometimes serenely, is composed by events or scenes revealing the secrets of lives. Ahn Do-Hyun was born in 1961 in Yeocheon, Korea, and graduated from Wonkwang University where he studied Korean literature. 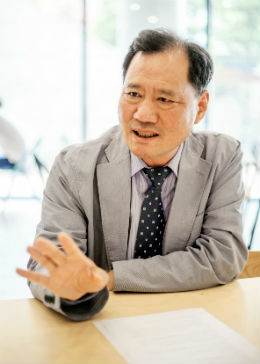 His writing career took off when he won the Daegu Maeil Shinmun Annual Literary Contest with his poem 'Nakdong River' in 1981 and the Dong-A Ilbo Annual Literary Contest with his poem 'Jeon Bong-jun Goes to Seoul' in 1984. 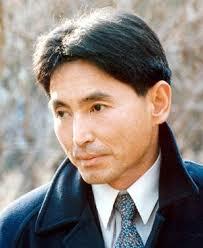 Ahn also received the 1996 Young Poet's Award and the 1998 Kim So-wol Literature Prize. (20) Poems by Ahn Do-Hyun. Translated by Brother Anthony of Taizé. Kim Jong-Gil was born in 1926 near Andong. He was first recognized as a poet in 1947. 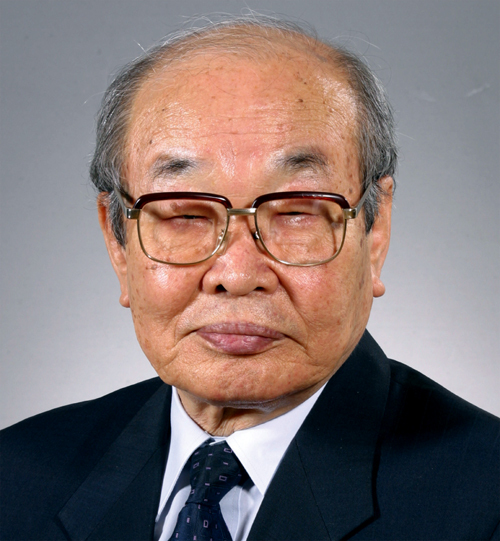 He studied at Korea University, Seoul, and became a professor in the English Department there in 1958. In 1960 he went to England for a year. In 1969 he published his first collection of poetry, having already published a volume of translations of modern British poetry in 1954. He retired from Korea University in 1992. In 1993 he was elected a member of the Korean Academy of Arts. Other collections of his own work were published in 1986, 1997, 2013. A revered figure, he translated much modern English-language poetry into Korean as well as a a good number of Korean poems into English. 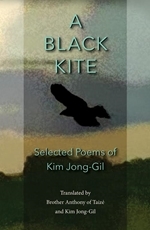 In 2013 he published a volume of selected poems 솔개 "A Black Kite." He died on April 1 2017, a couple of weeks after the death of his wife. MerwinAsia. 2017. ISBN: 978-1937385354 Distributed by University of Hawai'i Press. (20) Poems by Ahn Sang-Hak. Translated by Brother Anthony of Taizé. Kim Sa-in was born in Boeun, North Chungcheon Province, in 1955. 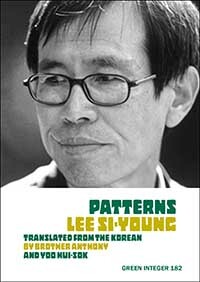 He has published three collections of poetry, Night Letters (bame sseuneun pyeonji, 1987), Liking in Silence (gamanhi joahaneun, 2006), and Beside a Baby Donkey (eorin dangnagui gyeoteseo, 2015), collections of criticism, including A Deep Reading of the Novels of Park Sang-Ryung (2001), and essays, A Warm Bowl of Rice (2006). Following time in prison in the early 1980s he began writing poetry and co-founded the magazine "Poetry and Economy." In late 2010 he participatied in the University of Iowa's International Writing Program. Among his awards are the Sin Dong-Yeop Grant for Writing (1987), the Modern Literature Prize for poetry (2005), and the Daesan Literature Award for poetry (2006). Since early 2018 he is the Director of the Literature Translation Institute of Korea. 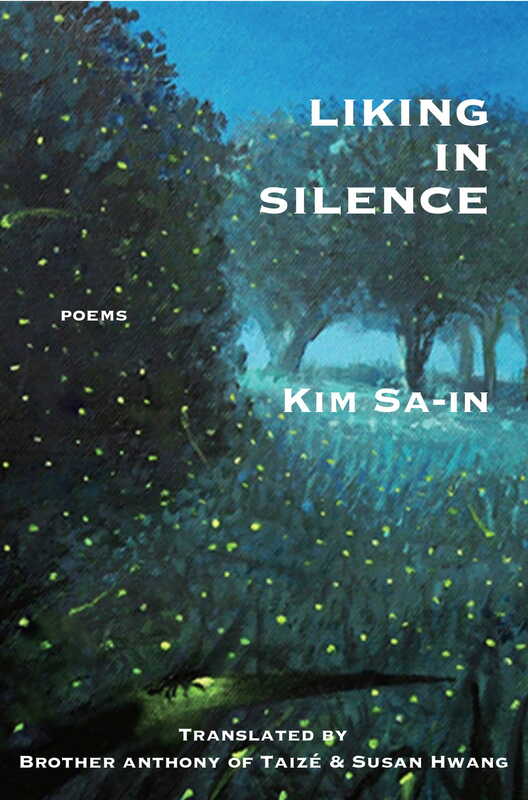 Liking in Silence Poems by Kim Sa-In Translated by Brother Anthony of Taizé and Susan Hwang Buffalo: White Pine Press.2019. The Poetry of Men's Lives: An International Anthology, edited by Fred Moramarco and Al Zolynas. University of Georgia Press. 2004. 11. Translations of 5 poems each by Ko Un, Kim Seung-Hui, Yi Si-Young and Chonggi Mah and 10 poems by Ynhui Park are included as a special "Contemporary Korean Poetry in Translation" section of Damn the Caesars Vol.3 (2007) published in Buffalo NY edited by Richard Owens. 12. 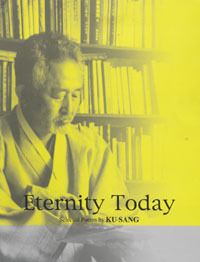 Ko Un's poem "Memoirs" and Min Yeong's poem "Before the Grave of the Poem Kim Nam-Ju" are included in Che in Verse, edited by Gavin O'Toole and Georgina Jimenez, Aflame Books, 2007. 16. 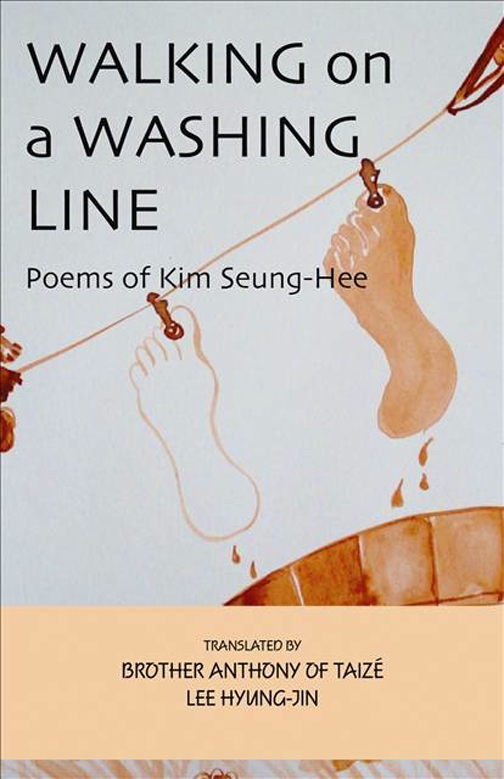 Nine poems by 3 Korean poets, and poems by Kim Kyŏng-Ju, all published in 2006 (from a 2008 KLTI Anthology) Poems by Lee Jang-Wook (with the Korean texts). 29. Bang Hyeon-seok: Off to Battle at Dawn. Translated by Brother Anthony with Dafna Zur. 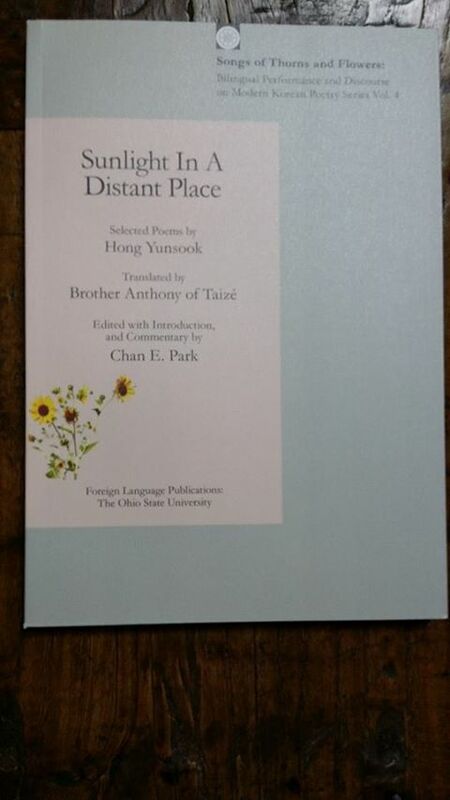 Seoul: Asia Publishers, Bilingual Edition, Modern Korean Literature 020. Koreana: Korean Culture & Arts (The Korea Foundation) Vol. 29 No. 1, Spring 2015, pages 86-99. Koreana: Korean Culture & Arts (The Korea Foundation) Vol. 29, No. 3 Autumn, 2015. Pages 92 - 103. Volume 38: Two poems by Lee Kyeong-lim; Two poems by Hwang In-chan. Volume 40: Two poems by Kim Yong-taek; Two poems by Kim Sung-gyu. Koreana: Korean Culture & Arts (The Korea Foundation) Vol. 30, No. 1 Spring, 2016. Pages 86 - 102. 40. Gu Hyo-seo: In the Mood for Love. Koreana: Korean Culture & Arts (The Korea Foundation) Vol. 31, No. 1 Spring, 2017. Pages 90 - 102. 41. 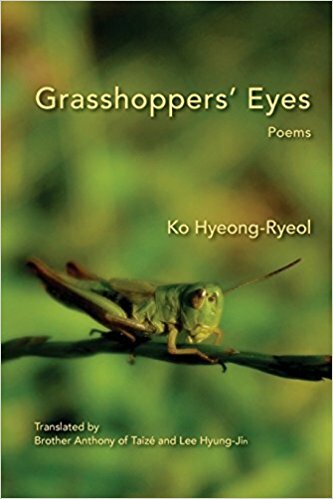 Poems published in Modern Poetry in Translation No.3 2016 "The Blue Vein" with a special "Focus on Korean Poetry"
3 poems by Ko Hyeong-Ryeol: "I Commemorate Devastation," "A Speeding Word" and "Run, Tiger!" 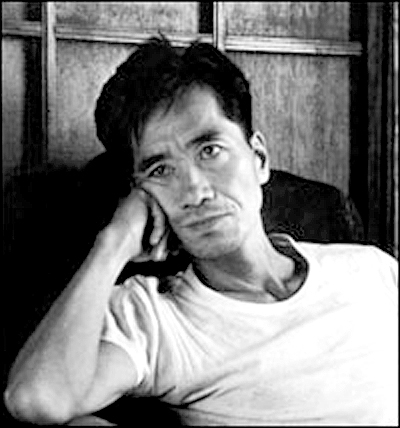 4 "Untitled Poems" by Ko Un: 7, 73, 141 and 151. Koreana: Korean Culture & Arts (The Korea Foundation) Vol. 31, No. 3 Autumn, 2017. Pages 94 - 102. Koreana: Korean Culture & Arts (The Korea Foundation) Vol. 32, No. 2 Summer, 2018. Pages 94 - 103. Koreana: Korean Culture & Arts (The Korea Foundation) Vol. 32, No. 4 Winter, 2018. Pages 92 - 102. Also my translations of Yi Oryong's The General's Beard and Fantom Legs, as well as of selected works of a number of different poets (see below) and novelists were published in Korean Literature Today (Korean PEN/KCAF). The translations linked to this page are all Copyright of Brother Anthony, and may be quoted in the normal way with proper attribution, but may not be re-published in printed or electronic form without the translator's permission. in Language, Culture and Translation: Issues in the Translation of Modern Korean Literature. Centre for Korean Studies, School of East Asian Studies, Universiy of Sheffield. 1999.
in Transactions of the Royal Asiatic Society, Korea Branch, 1999.
in P. France, ed., Oxford Guide to Literary Translation in English, Oxford: OUP, 2000. A talk given at an international conference on Korean Language Education and Korean Literature across the World, organized by the Kookmin University Language Research Institute, Kookmin University, Seoul on November 19 2004. Not likely to be published. 20. Songs for Tomorrow: Korean Poetry. A talk / poetry reading given in Kyoto (Japan) at the invitation of the editors of Kyoto Journal, January 22, 2006. 21. The publication of translations of Korean literature in English. A presentation given at the start of a discussion at a conference on translation in Ewha Womaens University, Seoul, in mid-2006. 24. Translating Modern Korean Poetry. A paper presented at the 1st World Translators' Conference "Korean Culture in Europe: Achievements and Prospects" organized by LTI Korea, held in Seoul September 13-14, 2007. 25. Translating Literature in the 21st Century. A paper presented at the Fall 2007 Conference of the 21st century English Language and Literature Association of Korea held in Joseon University, Gwangju, September 15, 2007. 26. 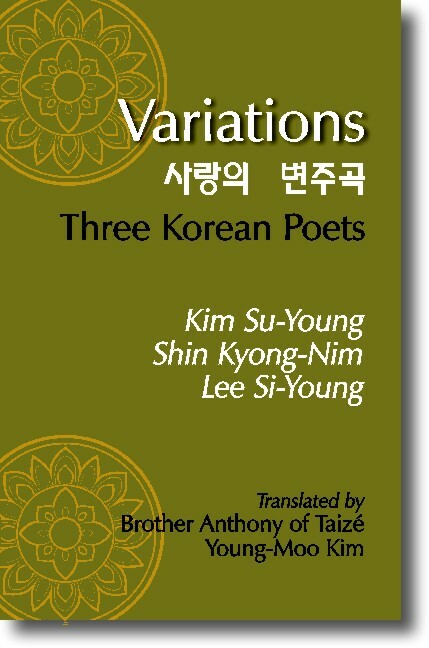 Buddhist-Christian perspectives in Korean poetry. An essay published in the Autumn 2007 issue of The Japan Mission Journal (Tokyo: Oriens Institute for Religious Research) pages 204 - 216. 27. The Joys of Translating: A lecture given to the Korean Open Cyber University on December 15, 2007. 29. Translating Contemporary Korean Poetry and Evaluating Translations. An expanded essay based on a presentation given during a translation workshop at Seoul National University in the summer of 2008. Not published. 31. The Perfect Translation: Impossible Dream. A paper presented at a conference about translation held in Dongguk University, Seoul, November 29, 2008, and quoting portions of the previous text. 32. Medievalism and Joan Grigsby’s The Orchid Door, in Medieval and Early Modern English Studies Volume 17, No. 1 (2009) pp. 147-167. 33. Ko Un’s Maninbo : History as Poem, Poem as History, in World Literature Today, January / February 2010 pp. 43-46. 36. A review of John Holstein's A Moment’s Grace: Stories from Korea in Translation. Cornell East Asia Series 148. Ithaca, NY: East Asia Program, Cornell University. 2009. First published in the Sungkyun Journal of East Asian Studies, Vol. 11, No. 1, (2011) pages 95 – 101. 39. Tea in Early and Later Joseon in Transactions, Royal Asiatic Society Korea Branch, Vol. 86, 2011, 119-142. 40. The Poetic Work of Ko Un: Comparing the Incomparable in Comparative Korean Studies (The International Association of Comparative Korean Studies) Vol. 20, No. 1, April 2012, pages 365-413. 41. Translating Korean-ness: Thoughts on Korean Poetry in Translation A paper presented at an International Comparative Literature Symposium held in Keimyung University, Daegu, on May 27, 2016. 43. Literary Translation: Creating World Literature. A paper read at Hankuk University of Foreign Studies on September 15, 2018. 44. 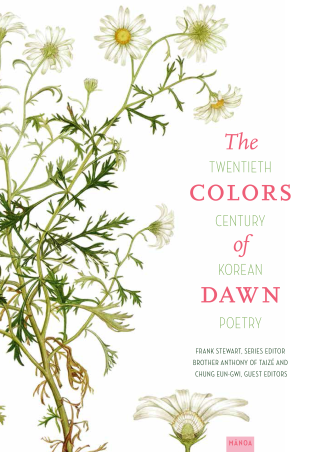 Translating Korean Poetry: History, Practice, and Theory. European Journal of Korean Studies Volume 18, No. 2 (2019), pp. 153–166. You may like to read an unpublished article that includes a summary history of the main developments of Korean poetry in earlier centuries and up to 1945 and suggests some ways in which this history continues to influence the writing and reading of poetry in Korea today. 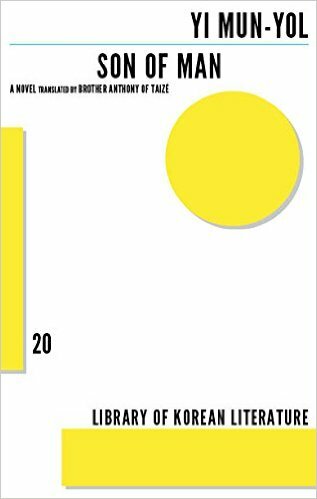 The text of a short book (not by me) summarizing the main characteristics of 20th-century Korean literature It can be very useful. I helped publish the first five volumes of a quarterly review Korean Literature Today, most volumes of which have been put online. 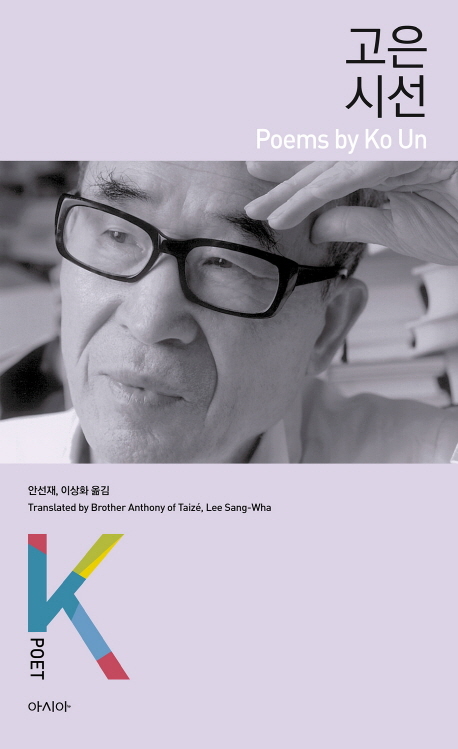 KLT contains translations of Korean poetry, fiction, drama, with occasional critical essays. There is an Alphabetical Index of the whole series with links to all that is available online. You may buy books about Korea, including most of the above, through Seoul Selection's home page. You can buy the DapGae books and many other translations online. For Cornell East Asia Series books, there is an Online Bookstore. Here is a list of some on-line bookstores in the US and the UK.